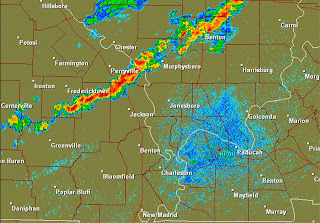 A complex of thunderstorms has moved from the St. Louis area to parts of southeast Missouri and southern Illinois. The line appears to have joined Weight Watchers and is thinning. I don't expect much in the way of severe weather. 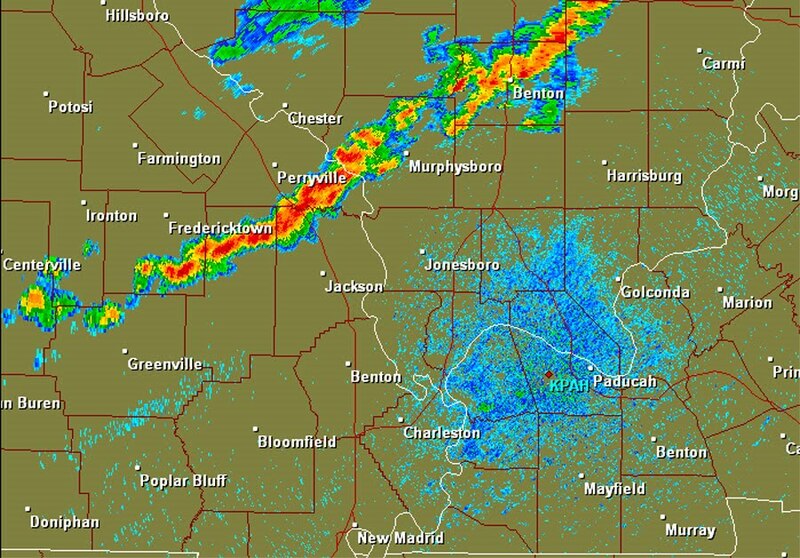 Here is a view of the radar image from the Paducah NWS radar site at 11:55am CT. The Storm Prediction Center isn't anticipating having to issue a watch for the line of storms, however they are keeping an eye on the area. There doesn't appear to be as much instability across the area as compared to the last couple of days. 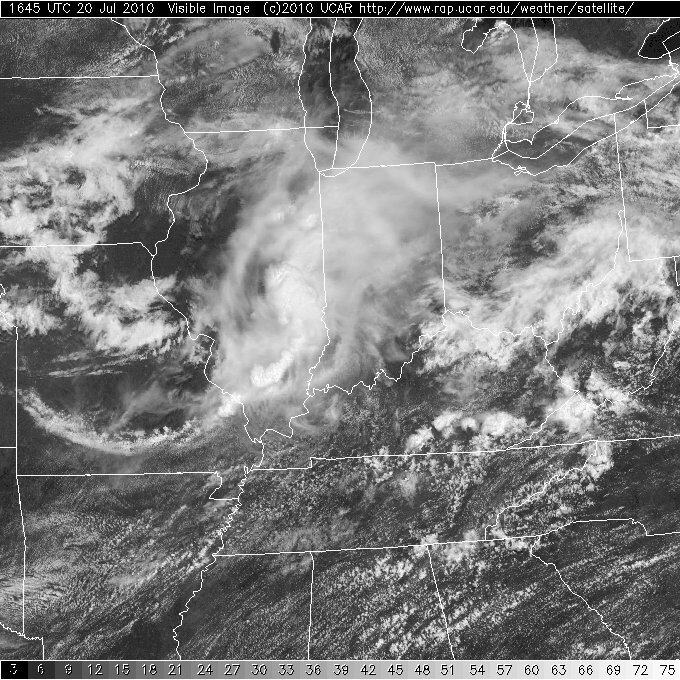 One of the biggest reasons is the cloud cover blanketing the area. I'm in for Bob this afternoon and evening, so check in on Heartland News at 5, 6, and 10 and of course on KFVS12.com/weather for the latest.